This article is the first in a series based on new research into the place of lower-income and disadvantaged households in a compact city. There’s been a lot of talk about apartment living of late. Whether it’s millennials who can’t afford to buy a house, downsizers making a lifestyle change, owner-occupiers struggling to get defective buildings fixed, or foreign investors buying into new development, there’s no shortage of opinions and interest. Except for one group: lower-income and vulnerable residents. In Greater Sydney, the latest census data show that almost one in five households (17%) living in apartments and townhouses have weekly household incomes of less than A$649. Among this group the largest sub-group (36%) live in private rental housing. That’s more than 72,000 households living on $649 or less per week in a housing market where average weekly rents for apartments are $550. Our research for Shelter NSW identifies multiple challenges such households face. Further reading: The insecurity of private renters – how do they manage it? It matters because some things about apartment and townhouse living are fundamentally different to living in a house. These differences have particular impacts on lower-income and vulnerable people living in higher-density housing. You live closer to your neighbours, so it’s more likely you’ll see, hear or meet them. You share services and spaces with neighbours, from gardens to laundries to lifts. You have to co-operate with other residents and owners to manage and pay for building operation and upkeep. Developers often cater for investors when designing new apartment buildings, so you will likely find a limited variation in apartment designs and sizes available. Resident turnover in your building may be high, as private renters move more frequently. Tensions between owner-occupiers and investor-owners may result in disagreements and disputes over budgeting and maintenance. While these unique aspects of higher-density living can be tricky for anyone, they present particular challenges for lower-income and vulnerable residents. They tend to have less choice about their living arrangements, so they can’t up and move to better-designed, constructed and managed properties if things aren’t working out. Poor building quality is one of the major issues in high-density development in Australia. The problems relate to design, defects and maintenance. The design issues include noise disturbances as a result of poor design, inadequate solar access and cross ventilation, the availability and flexibility of shared spaces, and safety and security considerations. Another issue is design that fails to help meet the needs of particular groups (such as people with a disability, and families with children). 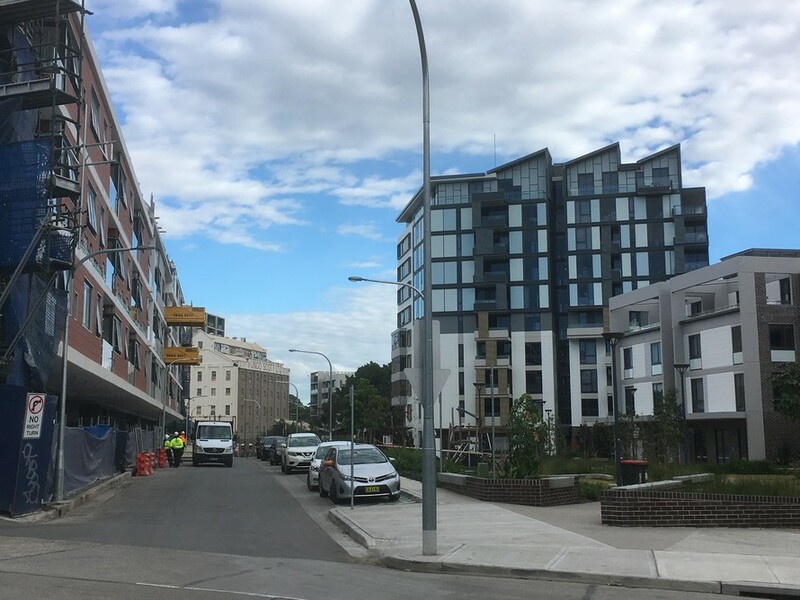 Beyond design, the construction quality of higher-density developments is a major issue in Australia. Key concerns include the quantity and severity of building defects, as well as the difficulties owners face having defects fixed. Among the problems are quality of workmanship, management of construction, private certification, limited warranties and the often-prohibitive cost of legal action. As with poor design, lower-income households are particularly susceptible to construction issues. This is because there are more incentives to cut corners when constructing more affordable housing. Examples include rushing jobs, hiring cheaper but less experienced tradespeople, or using substandard materials. Once residents move in, negotiating to fix defects is particularly difficult for private renters, as they typically must go through the real estate agent or landlord. This means renters may be stuck with unsatisfactory living conditions. Lower-income renters are also likely to be over-represented in poorly maintained buildings, as these are usually cheaper to rent. Compared to a detached house, maintenance in higher-density properties is complicated by the complexity of the buildings themselves and the governance structures. As a result, required maintenance work is often not carried out, or is reactive rather than proactive. This is especially true in buildings occupied by lower-income renters with no direct recourse to the strata committee. They often cannot afford to move and may fear retaliatory rent increases if they report maintenance issues. Neighbour disputes happen everywhere, but evidence suggests disputes are more common in areas with more lower-income and vulnerable residents and with more apartments. Common causes of neighbour conflict in higher-density housing reflect different expectations about noise levels, parking practices, or spending on maintenance and improvements. Neighbour disputes can have significant impacts on health. This potentially counteracts the health benefits associated with the walkable nature of many higher-density neighbourhoods. When disputes arise, the number of stakeholders involved complicates efforts to find a resolution. They might include renters, resident owners, investor owners, building managers, strata managers and strata committee members. Research with strata residents in New South Wales shows residents find formal dispute resolution mechanisms complex and slow. Most disputes are resolved informally. Lower-income residents, and renters in particular, are likely to have less influence over the outcomes of such processes. Fostering positive neighbour relations can be more difficult where resident turnover is high, such as in buildings dominated by private renters. It is also more difficult in poorly designed buildings without quality shared spaces. Apartment living is the new norm in Australia. As the nursery rhyme says, when it’s good it’s very, very good, but when it’s bad it’s horrid. If these homes are poorly designed, poorly built, poorly maintained or poorly managed, they are poor places to live. The market-led housing model that underpins Australia’s compact city policies has meant that people with less money get a poorer product. Few planners or politicians have adequately acknowledged these inequities. The reasons why we got here will be considered in tomorrow’s piece in this series.